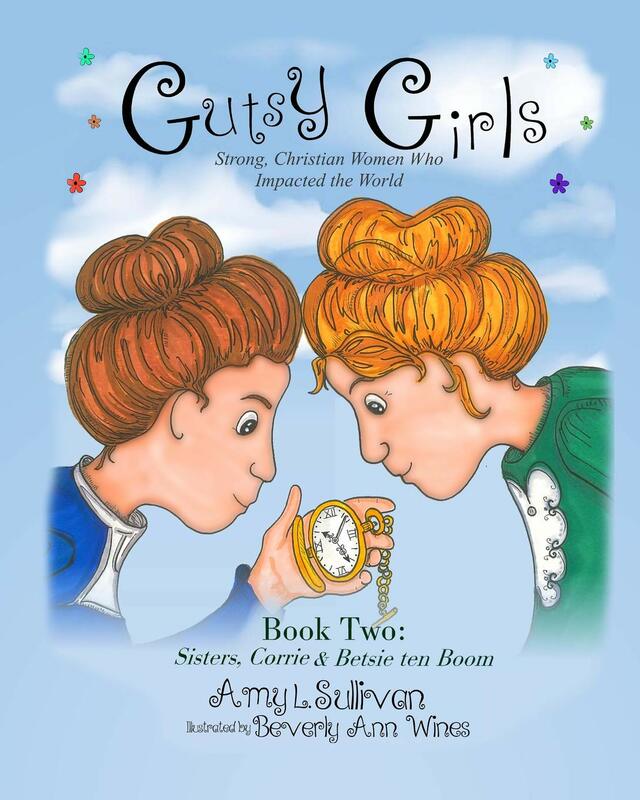 The Gutsy Girls series, written by Amy L. Sullivan and illustrated by Beverly Ann Wines, is a collection of children’s picture books highlighting five Christian women from history to present day. Gladys Aylward, the Ten boom sisters, Fanny Crosby, Sojourner Truth, and Dr. Jennifer Wisemen are each featured, though it should be noted this reviewer did not receive a copy of the volume featuring Sojourner Truth. In each story, the character is introduced as a child or youth who grows into her vocation as a strong, Christian woman. Their personalities, motivations, and cultural contexts are unique, meaning many different types of boys and girls will be able to relate. The books feature women from a variety of social, historical, and professional contexts. My daughters, aged seven, eight, and ten, appreciated that there were women represented in ministry, in science, in art, and in business, each one making a significant difference in her own field. What I noticed was that the humanity of each young woman was made clear. They disliked school, played outside, watched TV, or were considered “average. Plain. Ordinary.” My girls could imagine themselves in the lives of these girls. As a result, while reading their individual processes of hearing and responding to the call on their life, inspiration takes root in one’s own life. There are a few limitations to the series, not the least of which is the fact that the majority of the books feature protagonists who are white and from Western cultural contexts. There are some people of color represented in illustrations, but in the book about Fanny Crosby, there is a drawing of a member of the “Eel Clan of the Onondaga Indian Tribe” dressed in a way I’m not certain is accurate for his particular tribe. Additionally, some readers may find problematic the depiction of Gladys Aylward, a missionary to China. Chinese people are depicted without much nuance or individuation while Gladys is depicted as a singular figure who brings reform. As an adoptive parent, I was especially aware of the story of how she “rescue[d] children by taking them into [her] inn and adopting them.” In missions and adoption, there is a justifiable concern about anything that resembles a savior complex, especially across racial groups and cultures. Admittedly, it is never easy to elevate the stories of historical figures without engaging the troublesome cultural and historical contexts in which they existed. Though there were some areas of the book where it did not seem every consideration was given, when it comes to gender, the books are thoughtful. As mentioned already, the women represent a variety of professional and vocational pursuits and, in their youth, the girls are engaged in activities which avoid gender stereotyping: They play with turtles and bugs, climb trees, drive space ships in their imagination, and trek ominous landscapes alone. The personalities of the characters are also crafted without gender clichés. While it’s true that young Corrie Ten boom is pictured dreaming of a future involving marriage, babies, and a nice home (this reviewer can’t speak to the accuracy of that depiction), she is also portrayed as assertive, competent, and strong. In fact, these adjectives might describe each of the young women represented in the series. Overall, though the author doesn’t avoid every pitfall associated with writing about historical figures and events, the series was appreciated by my family. My girls are interested in some of the professional fields represented by the characters, and representation matters. In our home, books like these—picturing girls like mine growing into the women they aspire to be—are a valued empowerment tool. In particular, there aren’t many books for children which portray Christian women and girls while avoiding gender stereotypes. As is most often the case with media we ingest, we discussed some of the potential weaknesses of the book and the conversation only became richer.